We are in relationship all the time. Even if we try not to be, we can't help it, because in the end even a hermit must contend with himself. Interacting, sharing, taking, giving, loving, being with the other people on the Earth - it's what we are meant to do. Relationships can bring us joy, teach us everything we should know, and make life worth living. They can also cause us pain, damage our sense of self, and break our hearts. Lately, I've wondered what constitutes a good relationship. And usually when I ponder and think about a concept long enough the answer appears. Sometimes the answers come in the form a timely email from a friend or a chance encounter with a stranger. This time the answer was in a book that fell into my hands at the perfect time. When I wanted to know what constitutes a good relationship, I wasn't asking what makes a good marriage or friendship or parent/child relationship. I was searching for something basic, a soul-level answer that could be applied to ANY relationship in my life. I found it. It's simple and when I read it, I knew in my heart of hearts it was true. I could apply in every aspect of my life, a litmus test to get my bearings with if I feel lost and unsure. To feel safe with the other person. To not be verbally, emotionally, or physically abused by another. To be appreciated and valued for who we are. To have our privacy and boundaries respected. To have our basic needs met. To feel good about ourselves within the relationship. If these basic ideas are not present in a relationship, then it's time to examine the cause, and make changes accordingly. And be open to the idea that it might be you who is not providing these things for someone else. That's a hard thing to admit but no one is perfect or blameless. This list of basic needs works for everyone from the very young to the very old. We all deserve to thrive within our relationships. Sometimes that's not the case and it helps to have a set of criteria to determine where you stand. May we all find peace, happiness, and love in our relationships. And when we can't, may we learn the lessons and move on with open and forgiving hearts. This is my friend Amber. She has a dream of traveling abroad. So what, you say? Everyone wants to travel. Yes, but not in the way Amber dreams of traveling. She doesn't want to lie on the beach in Cancun or sip ouzo on a hillside in Greece. Amber wants to make a difference, to impact the lives of the community she visits in a positive way. She desires to be immersed in the culture and be part of the lives of the people there if only for a short time. Amber wants to contribute and give back. This is why I admire her. Recently, through happenstance (but is there really such a thing), Amber learned about a program called Cross Cultural Solutions. Founded in 1995, CCS is a recognized leader in the field of International Volunteering. By partnering with CCS, Amber will go to Costa Rica for one week this summer. CCS will place her in the appropriate volunteer program that fits her talents. Amber hopes it will be to work with children. I expect she will have an experience much like that of Sandra Flannagan. Sandra spent a month as a teaching assistant at Escuela Puente Casa, a school for disadvantaged children in Costa Rica. She helped in the classroom and played with the children at recess. Sandra says that spending time with the children at school while they were happy and smiling made it easy to forget that they live in abject poverty on a hillside littered in broken glass. They are refugees from the Nicaraguan civil war. The houses they live in are made of discarded cardboard, aluminum, and tin. I expect that Amber, too, will be fighting back tears when her time in Costa Rica is over. My friend will have cherished memories of the pain she helped to ease and the bit of happiness she gave to someone in need. I know her well enough to understand that not only will she make a significant impact on this journey but she will take away great joy for her efforts. Now, Amber is asking for help to cover the program fees for her trip. It's a significant amount but completely doable. Because I believe in her and in her dream, I'm asking that my readers take a look at the information and consider donating to her fund. After my donation she will have $1,310.00 left to raise before July 8th. Even though I have been lax about posting lately, somehow this blog still gets 100 hits per day. If everyone who sees this blog today pledged just $10.00 to Amber's cause, she would have most of her funds covered. Also, any of my buddies with blogs who wish to repost this article in part or in whole, you have my permission and thanks for helping Amber with her cause. Wouldn't it be incredible if her story went viral and her fees were completely covered by kindness from around the world! After her trip, I'm going to ask Amber to guest post on LifePrints so she can share with you the joy that WE helped to make possible. If you can help, please do. Amber and I will be very grateful. This is the reason I created LifePrints, to spotlight people stepping up in this world. Because of it, I have a chance to spread the word and help someone I know well...and that is no happenstance. My youngest son is 4 years old. He recently started preschool at a nearby church. I was as excited about this milestone for myself as I was for him. I planned to dedicate my new found free time to working diligently on my current novel. Then I read all the paperwork that accompanied my son's admission. Surprise! I was expected to volunteer in Ethan's classroom at least three times during the school year. At first, this frustrated me. I went to my selfish place and figuratively had a tantrum that my little piece of freedom was being encroached upon. 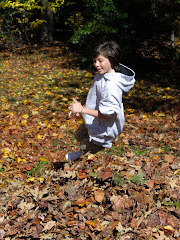 I didn't stay there very long because I realized that my little boy's childhood is speeding by as fast as lightening and I didn't want to miss it. Yesterday his eyes lit up and he held my hand as we walked into the school. "This is so awesome, Mom," he said. I helped his teacher, Ms. Kelly, prepare the crafts, serve snack, and clean up at the end of the day. 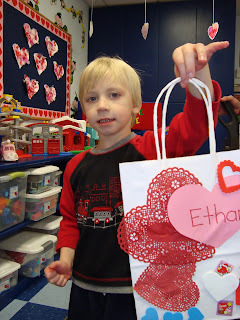 Ethan stayed near me all day and occassionaly blurted out to one of his classmates, "Hey, that's my mom!" Now it was my turn to beam with pride. I watched the children's reactions when they found out they were making puffy flowers with glue and shaving cream...messy, fabulous fun....and I was thankful to be there and be part of it. It did me a world of good to remember the joys of childhood and how simple life can be if I don't complicate it. Ms. Kelly appreciated the help and thanked me at the end of the day. I'm going back in May to help her again. Our children's teachers need us - our time, our commitment and our support. Also, our children need us to participate in their education. If they see learning is important to us then it will take on a new meaning to them. Educators complain that parents use schools as babysitters and surrogate parents. What if adults had to sign a contract to volunteer in the public school where their child attends - like I had to for my son's preschool? Would things be different in that community? Sign up with a teacher to be a helper for the day. Elementary schools are always looking for volunteers, as are secondary and high schools. Don't be leery of the big kids. They need us, too. Earth Hour 2009 is set for March 28th at 8:30 local time. No matter where you are in the world you can participate. Turn off your lights and any other electrical items for one hour. That's it, just one hour without electricity. Can you stand it? Last year my family and I turned off the circuit breaker to our house and went completely black. It felt good to do something for my planet. The kids complained for a few minutes then we began to enjoy the quiet and the peace as we curled up in blankets on our back porch. My only disappointment was that my city, Las Vegas, did not really participate in Earth Hour 2008. No one seemed to know about this event or care that it was going on. Tourists still walked the glowing neon streets, nothing was allowed to interrupt their fun. This year is different. The tourists will have a different kind of treat. I'm proud to say that Las Vegas is a flagship city. The list of casinos and business who plan to turn off the neon is impressive and expansive. If they all follow through with their commitment the strip should be dim if not completely black. Now that will be a historic occasion. I'm kind of sad that I won't be in town. I want to see and participate in this event. But again, where ever I am and where ever you are, you can turn off the lights and make a difference. Just imagine what would happen if we all did this once a week, or once a month? 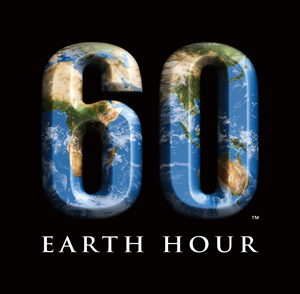 Here is a link to my post about Earth Hour 2008. Enjoy! This post is not about sharks. 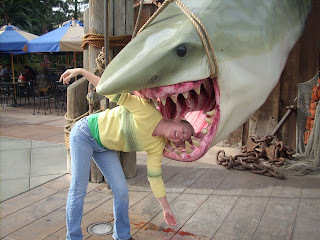 It's about the clothes I'm wearing while acting silly at Universal Studios. One of my favorite pastimes is teasure hunting in thrift stores. This is something I've always loved to do, not just when the economy is declining. I love it when a search through racks of clothing produces an expensive designer blouse in perfect shape. I find satisfaction in paying five dollars for it instead of the fifty plus required at the mall. There are compelling reasons to shop resale. The average family is hurting and must find ways to conserve. It's the perfect time to recycle, reuse, and repurpose. Did you know that every year the average American throw away 68 pounds of clothing. Then we go to discount retailers and buy another 68 pounds of new, cheaply made stuff. Silly behavior on our part - hurtful to the environment and to our pocketbooks. This brings me back to almost being eaten by Jaws... the outfit I'm wearing in the photo was 100% used, purchased at my favorite local thrift store, Savers. I love shopping at Savers because unlike some stores of this type it's clean, the items are in excellent shape, they do not over charge, and best of all they donate a portion of my purchase price to nearby charities. The Savers in Las Vegas, NV where I shop donates to Safe Nest which provides emergency shelter, counseling, advocacy, crisis hotlines, and other services for domestic violence victims. Since the chain stores inception in the 1950's, Savers Inc. has paid out over a billion dollars to its non-profit allies. And on the environmental front, last year Savers reclaimed 262 million pounds of clothing, saving them from going to the landfill. It seems like a win/win situation to me. I bring my clothing and used items to Savers and get a receipt to be used as a tax deduction, plus the store throws in a 20% off coupon on my next in store purchase. They put the best items on the rack. 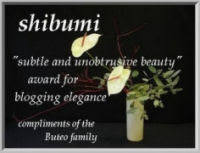 I go back and shop there with my coupon, getting great deals and beautiful, gently used clothing at a reasonable price. They donate a portion to a charity that benefits families in need and help conserve resources by rescuing perfectly good clothing and other household items from the landfill. I can't think of a more perfect way to shop! Try it and share your experiences with me, here on LifePrints. Here is a list of Savers store locations around the world. 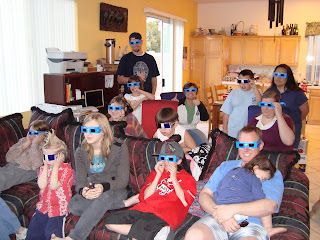 This picture of my family and friends watching the Super Bowl commercials makes me laugh. It makes me laugh so hard that my sides hurt...and I need that because I haven't laughed much in the last few months. 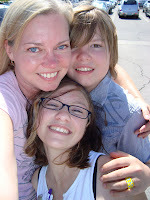 Absence of laughter, absence of joy, and abundance of conflict - these are my reasons (excuses) for staying away from LifePrints, the place where I put out to the world how great life can be if we all love and care for one another. I learned a big lesson. It's difficult to write about happiness and compassion when I become consumed with how the people in my life, my house, my family are not doing those things for each other. It all seems futile and a waste of time. This morning I got a gentle nudge from Anonymous. This loving person sent a comment to my blog asking where I've been, saying that, "Hey! Three months is long enough. 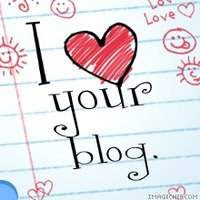 New post please!" Well, that's paraphrasing but I got the point. I've watched fireworks signal the dawning of a new year and swam in a pool full of splashing children on the same cold night in small Utah town. I shed tears of pride and accomplishment while watching the inauguration of our new president and again during his first address to congress. I recognized the love that passed between him and his wife, so much like the silent understanding that passes between my husband and me. 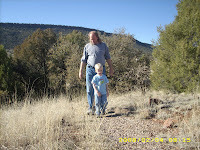 I climbed sand cliffs with my husband and child and watched the flaming Nevada sun set behind the mountains. Then we played tic tac toe on paper napkins while waiting for our breakfast the next morning. I sat in the front of a crowded movie theater and craned my neck to watch Edward and Bella fall in love. I marveled at the intensity on my beautiful daughter's face as she watched Twilight play out on the big screen. Everyday I wear a red and gold glass heart pendant on a black leather cord because it was a gift from my husband - the man who has wiped away many of my tears in the past few months. I reached out to friends, family, and strangers for help and no one turned me away. There have been phone calls, emails and hugs to carry me through. I'm grateful for each kind word and piece of valuable advice. I watched through a plexi-glass window while my son pelted his birthday party companions with little exploding balls of paint and relished the fact that I remained unmarked and unbruised behind the glass. My son who struggles with grades, proudly waved a paper under my nose. It said he had a 97% in Pre-Algebra. We immediately went for ice cream! My little boy started preschool and beams every time he walks into the classroom. Despite my troubles, I have much to be thankful for. God bless us all. Thank you to my friends and readers who've let me know how much LifePrints means to them. I needed the encouragement to keep going...and a special thank you to Anonymous for giving me that last needed push. I have much to look forward to and searching out stories for LifePrints is among those pleasures.